A water soluble premium CSL, naturally high in amino acids and with 30% protein, pre-activated and fermented until all the natural sugars and enzymes start to breakdown. 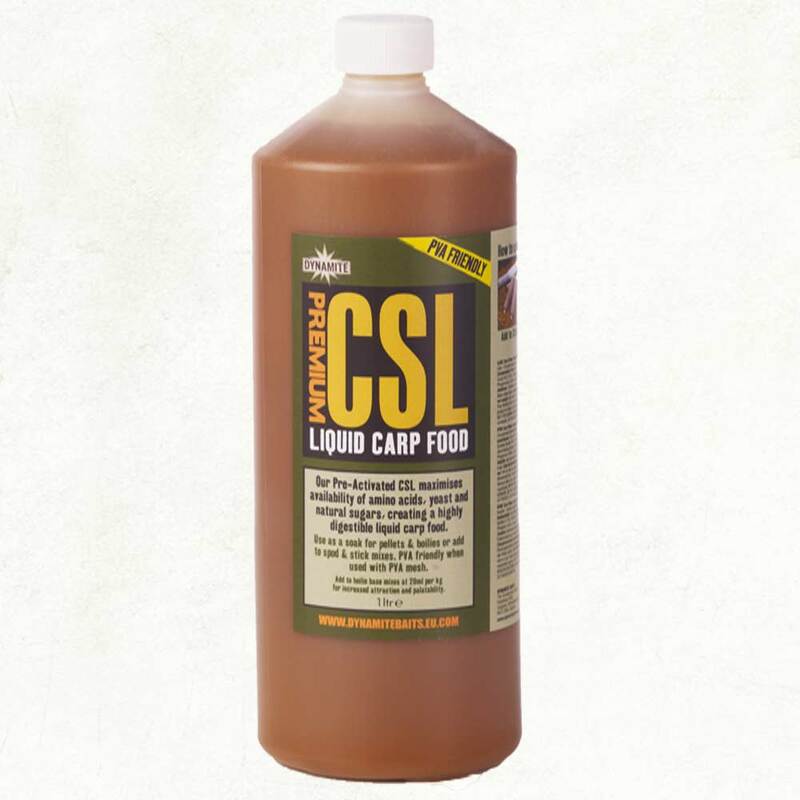 Our CSL is a premium product which is at its peak of digestibility, enabling fish to easily absorb all the nutrients. Perfect for adding to stick or spod mixes or for re-hydrating baits. For using in boilie making and adding to our base mixes, we recommend 50ml per kg of basemix to boost the water soluble attractors in your baits.